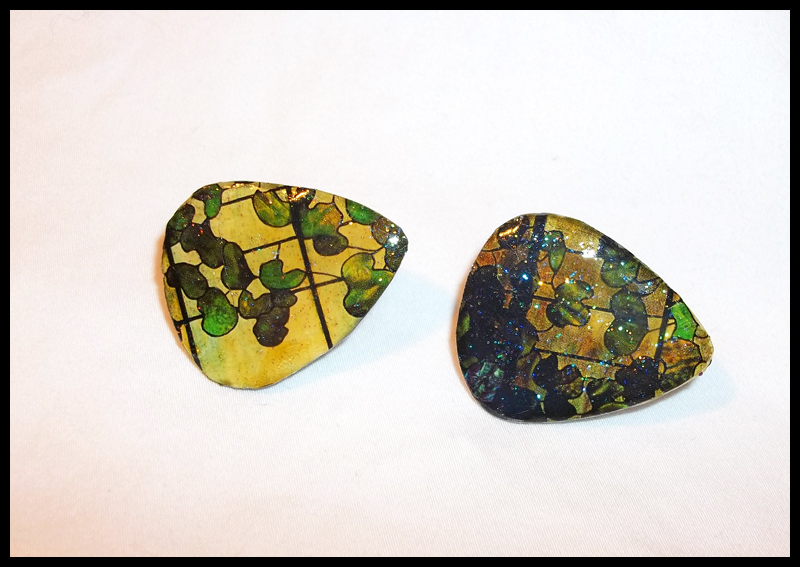 Newly added to the shop - Tiffany art clip on style earrings. 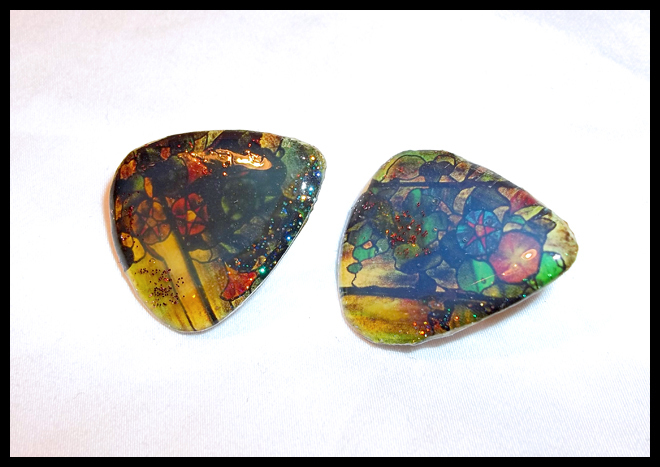 Guitar pick earrings made from Tiffany art (printed from a book). These are unique because they are clip on earrings, fantastic for those who don't have pierced ears. They are comfortably snug but not too tight on the ear lobes. Edges are painted with iridescent glitter.